1. Go skiing at Whitefish Mountain Resort or Blacktail Mountain. 2. Have a dog sled adventure. 3. Head out backcountry skiing in the Flathead National Forest. 4. Get cozy with a yeti at the Whitefish Winter Carnival. 5. Buckle up for barstool ski races at Cabin Fever Days. 7. Take a snowmobile excursion with Swan Mountain Snowmobiling. 8. Drink hot chocolate or coffee by the fire. 9. Cross country ski in Glacier National Park. 10. Savor a delicious dinner at Oso’s Smokin’ BBQ. 12. Have a snowball fight. 14. Make a snow throne and pretend to be royalty. 15. Make homemade snow cones. 16. Shop boutique shops in downtown Whitefish. 17. Enjoy a whiskey tasting at Glacier Distilling. 18. Hunt for the Northern Lights. 19. See the parade at Night of Lights in Columbia Falls. 20. Catch Ski Joring in Whitefish. 21. Enter the Dummy Derby at the Winter Brewfest. 22. Search for the best sledding hill. 24. Beat the vertical record at the mountain. 25. Cook over the fire like a pioneer. 26. Take a day for ice fishing. 27. Make a snow maze or snow fort. 28. Turn out for Seeley Lake Winterfest. 29. Relax and unwind at the Hot Springs. 30. Check out a hockey game with the Missoula Maulers. 31. Strip down to your skivvies for a polar plunge for charity. 32. Hitch up the horses for a sleigh ride. 33. Sip on local wines at a wine tasting. 34. Explore local artists at Going to the Sun Gallery. 35. Pick the most photogenic peak in Glacier National Park. 36. Set out on a scavenger hunt to find the biggest icicles. 37. Go on a snowcoach tour. 38. Search for animal tracks in the snow. 39. Taste seasonal brews from local breweries. 41. Capture stunning photos of snow ghosts. 42. See dramatic inversions from above. 43. Catch a show at the Alpine Theatre Project. 44. Paint pottery at Stumptown Art Studio. 45. Get the best cappuccino in Montana at Off the Beaten Path. 46. Take a spa day. 47. Participate in a snow safety course with Flathead Avalanche Center. 48. Pay a visit to Star the Llama. 49. Go square dancing at the Bar W Guest Ranch. 50. Check out live music at the Great Northern. 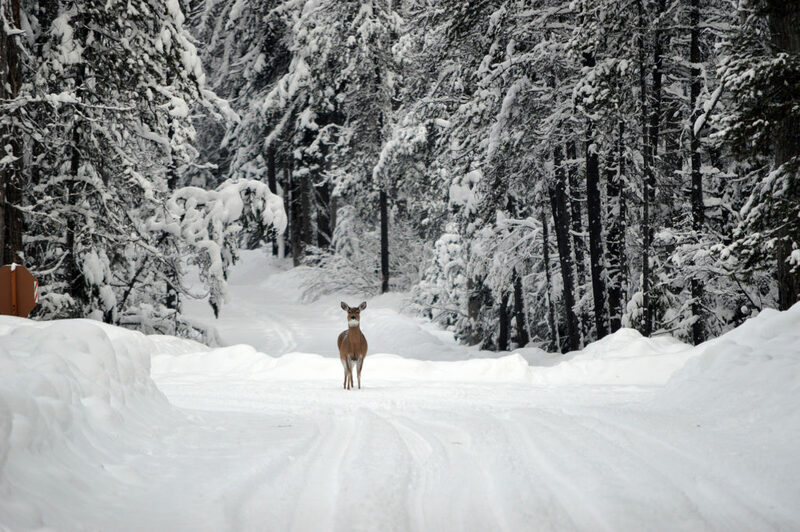 Click here to plan your winter getaway in Montana!